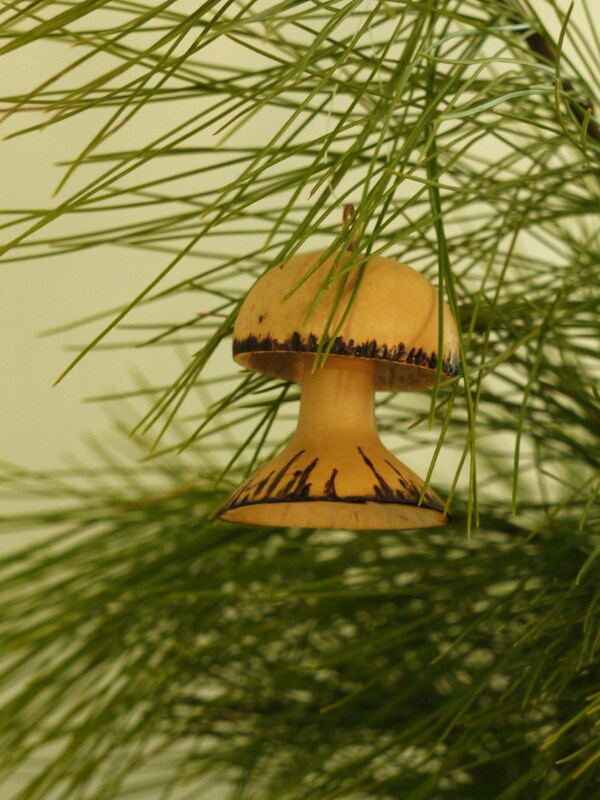 I began making ornaments for family and friends the first year I was married. That is a tradition I love and have continued for over 30 years. There has been a lot of variety and it is fun to see how the collection has grown. This year I wanted to make an ornament from the garden. 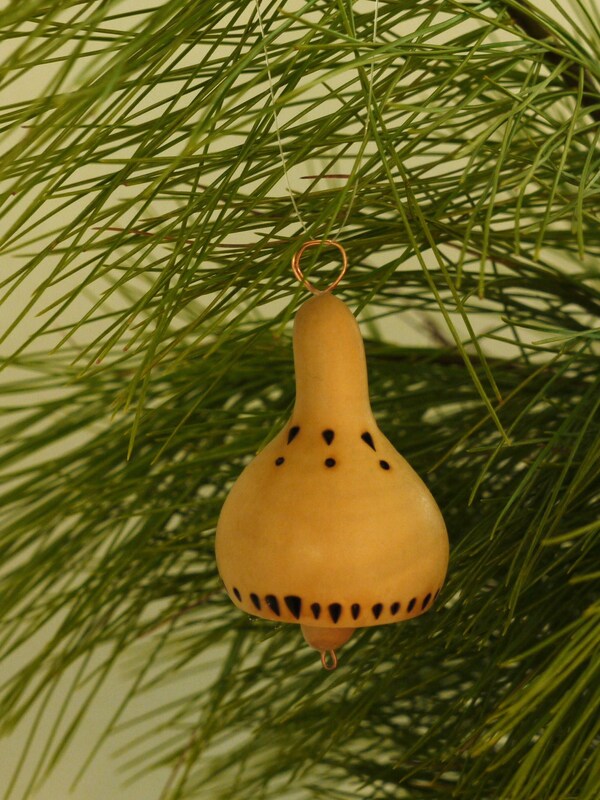 I’ve never grown gourds, but I had seen miniature ones and thought I could come up with an ornament or two. A quick internet search produced a number of sources, and I purchased some on ebay. 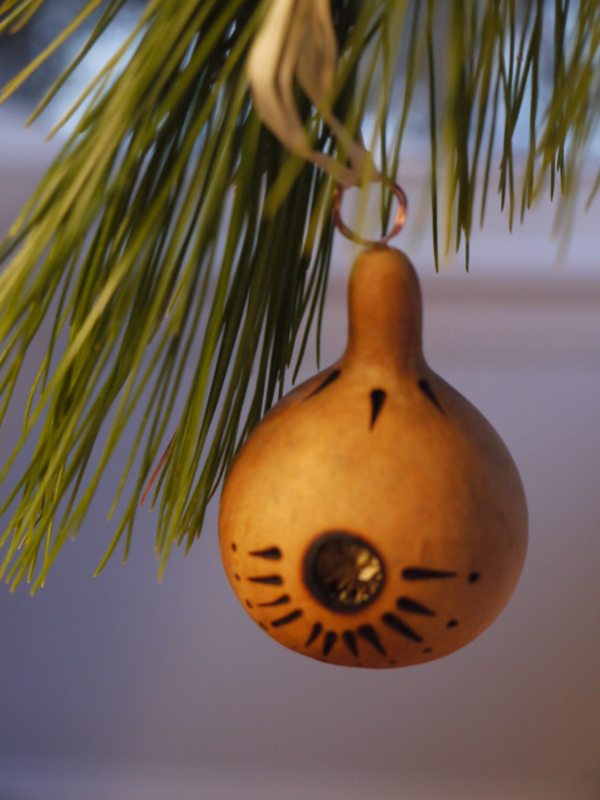 I was inspired by gourd ornaments I had seen from Peru which had been decorated with a wood burning tool. I had no experience with wood burning but I thought I would give it a try with my gourds. The tool I purchased came with 4 different heads for creating various designs. I used a scrap piece of wood from Mike’s shop to practice and soon felt that I was ready to begin decorating gourds. 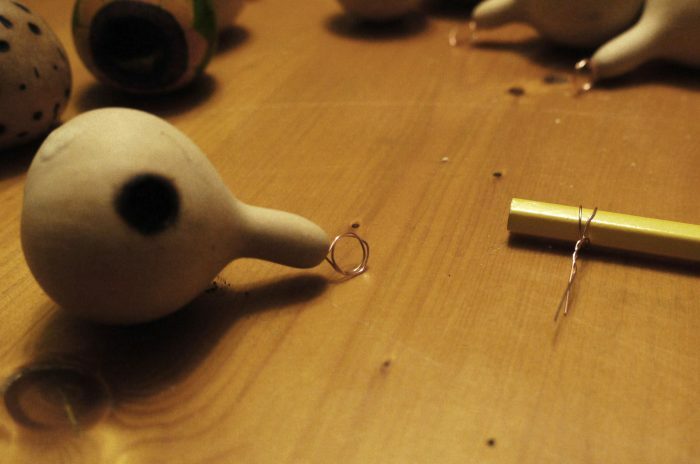 My first step, though, was to drill a small hole in the top of each gourd and insert a wire hanger into them. I put a drop of glue into each hole to help secure the hanger. I created the hanger with a 4″ piece of copper wire which I wrapped twice around a pencil and then twisted together. 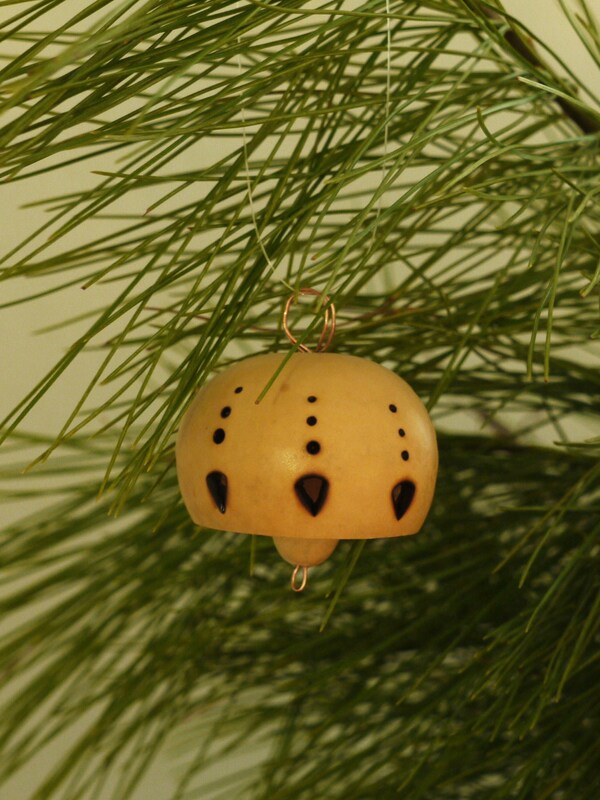 For the ornaments that would become bird houses, I used the tool to burn holes through the gourd that were about a half inch in diameter. I then began “doodling” with the wood burner. I did not have specific patterns in mind for each gourd, but would just experiment with the various tips to see what each would do. Some were disasters, others I liked. 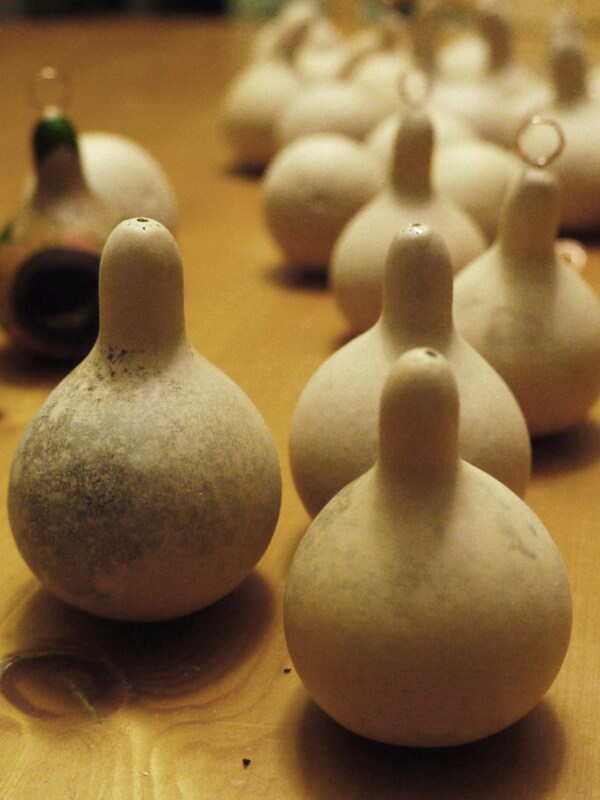 I then decided to cut the bottoms off a few gourds to see if I could make a bell. I used tips of gourds as clappers. I began to play with some of the pieces that had been cut from the gourds and decided that I could use these to make mushrooms. 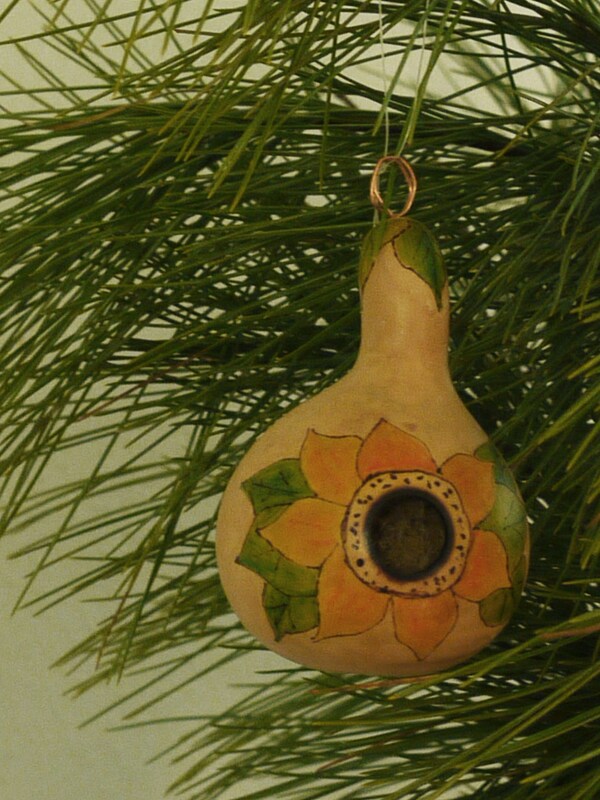 I had hoped to finish the gourds with a natural finish and I tried cooking oil for this. It worked well on many of them, but on others it brought out dark imperfections which were unattractive. So, in the end, I sprayed a light coat of varnish on them. Finally, I added fishing line to some and raffia to others to complete the ornament. They are now ready for tree hanging and gift giving! And, of course, I’ll save a few for our own tree! Susan, you are amazing, I will hang mine on my tree and brag about my smart, creative and wonderful DIL. I always point out to friends the different ornements that you have given me throughout the many years that you have been a part of our family. love you very much!! It’s such a pleasure to make them when they are so appreciated!!!! I love you, too, with all my heart. We always love the home ornaments – every year when we decorate the tree we always look forward to putting your ornaments on – especially the bent spoons! The bent spoons (and forks) are among my favorites as well! My only disappointment is that this year’s won’t be a surprise. Thanks for the encouragement! Susan you are so creative. They are just beautiful. 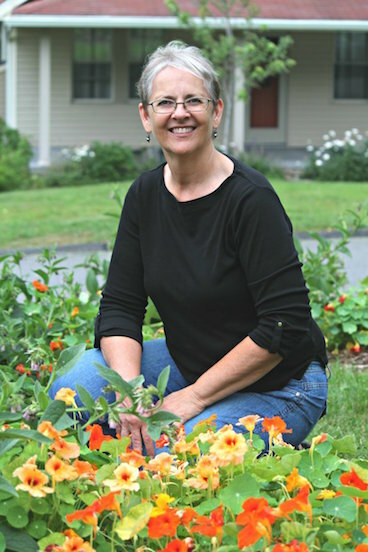 Thanks, Cathy! I appreciate that! 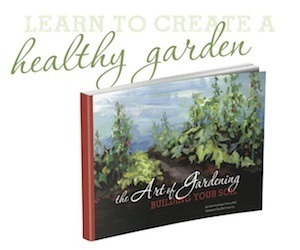 I love that God gave us the gift of creativity, don’t you? i love mine!!!!! thanks for giving me the the one I like the best!!!! i cant wait for you to see the one i made for you!!!! i was afraid to send it since its glass ( as i am sure you assumed) Merry Christmas!!!! these are totally awesome. you are the coolest. Jennifer, I have to disagree. YOU are the coolest. I appreciate you and Jared so much and I’m so happy you are in my life! Thank you! 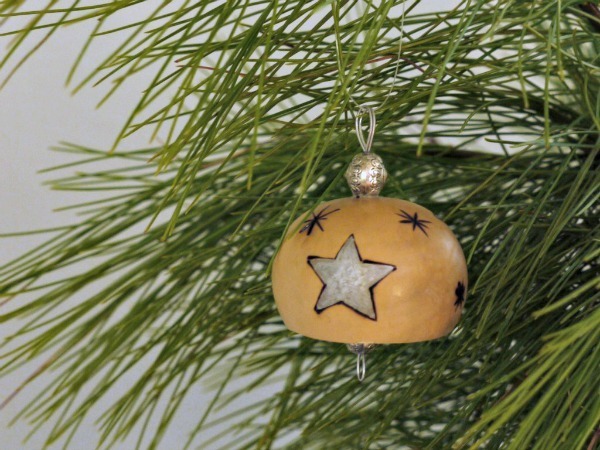 Our children always say that we have the nicest tree – I’m sure it’s the attachment to the homemade ornaments.